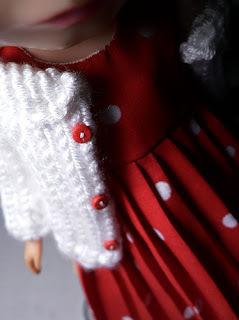 Most of you know I am a big fan/collector of Blythe dolls - I've been collecting Blythe longer than I've been knitting. 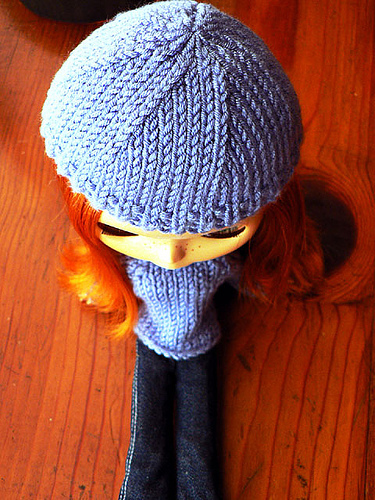 Actually, Blythe was what made me get back into knitting after all these years! I made this cardigan as part of a dress set that I sold on eBay. Both the hat and cardigan were done using Lion Brand MicroSpun on size 4 needles, and they work great as chunky sweaters!